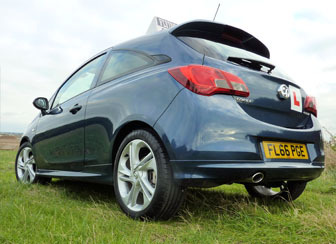 Since becoming a fully qualified Approved Driving Instructor (ADI No: 300336) in 2004, I have gone from strength to strength in the industry, very quickly leaving my franchise situation and starting my own Driving School - Flying Colours - in early 2006. The business has flourished and is now well known locally for quality, competent, patient and affordable instruction. Always willing to go the extra mile, customer satisfaction is guaranteed. Privately, I enjoy a range of activities, but top of the list by far is my passion for fast retro cars, driving and motorsport. I regularly attend Track Days in my car, whatever that may be at the time, although I do tend to have a preference for high powered Sierra Cosworths. My ambition was always to take my own car to the infamous Nurburgring Nordschleife in the Eifel Mountains of Germany to drive the 20 kilometre track there. I have been fortunate enough to go twice in the last couple of years and am now hooked on "The 'Ring". Contact Dave at Flying Colours Driving School to discuss your needs. 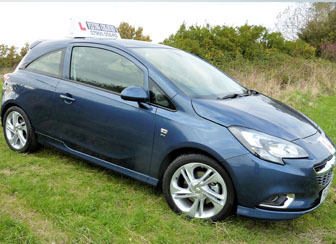 Our services include: Learner Drivers, Passing with Driving Lessons, ADI Instructor Teaching you to Drive, Driving Tests.